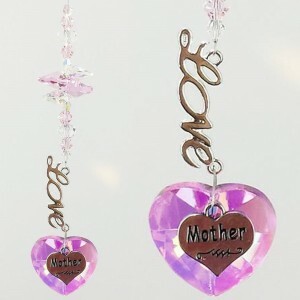 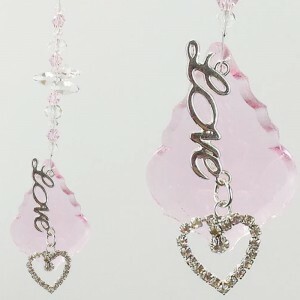 Handmade Valentines and Love crystal suncatchers. 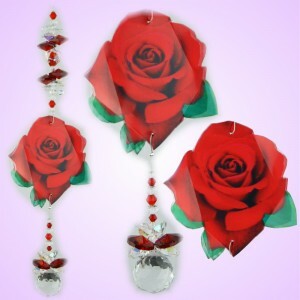 Beautiful gifts for any ocassion. 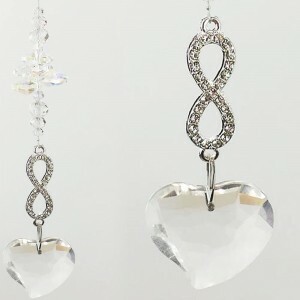 Spoil that special person in your life or simply indulge yourself with one of our unique and sparkling crystal gift creations. 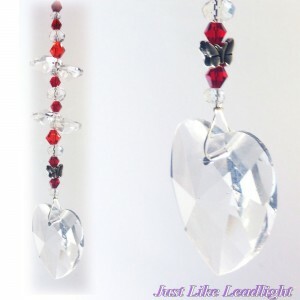 Red Rose suncatcher (copyright 2014 fairywings'n'butterflythings all rights reserved) This item ..
(Please note that we are currently out of stock of 40mm pink and lilac balls) These gorgeous suncat.. 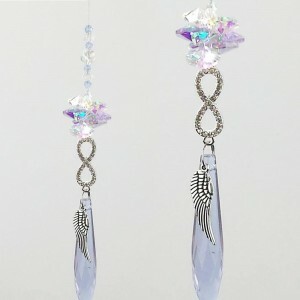 These cute little heart suncatchers are hand made with a 28mm clear crystal heart pendant, wi..
30mm Heart Pendant in clear length 20cm (may vary) weight 30g Postage Info The postag..
50mm Icicle (assorted colours) (Lilac pictured) Angel Wing Charm Matching Ab and clear crysta..
50mm starflake (assorted colours) Love and Loveheart Charms Matching beads and crystals len..
28mm Heart (assorted colours) Love and Mother Charms Matching beads and crystals length 20c..